What makes our four-day trips so cool? When a young person first comes sailing with us they are in the very difficult process of trying to put their lives back together after cancer. 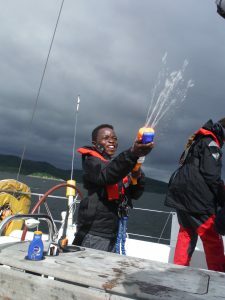 Sailing not only provides the perfect escape and the chance to enjoy an outdoor experience that is completely the opposite of being cooped up in hospital, but each young person can test themselves in a safe and supportive environment too. 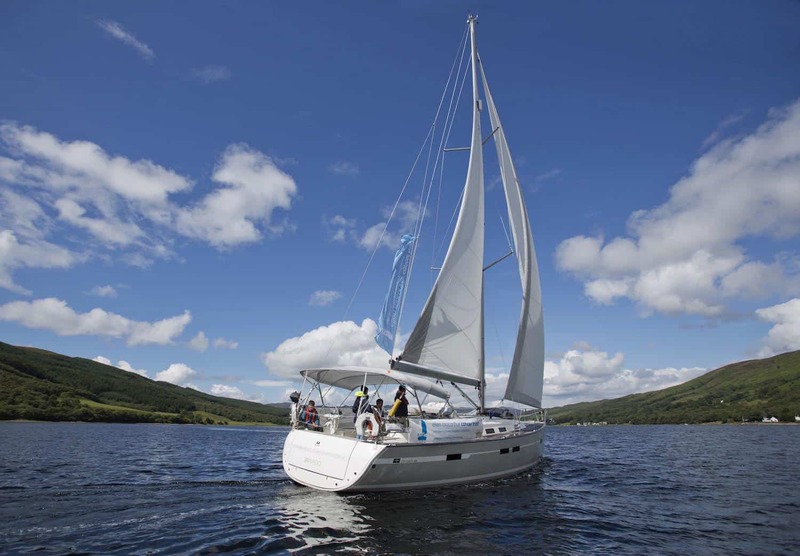 Our four-day trips are a gentle introduction to sailing onboard 38-48ft yachts, whilst encouraging teamwork, enjoying an adventure with new friends and having fun. 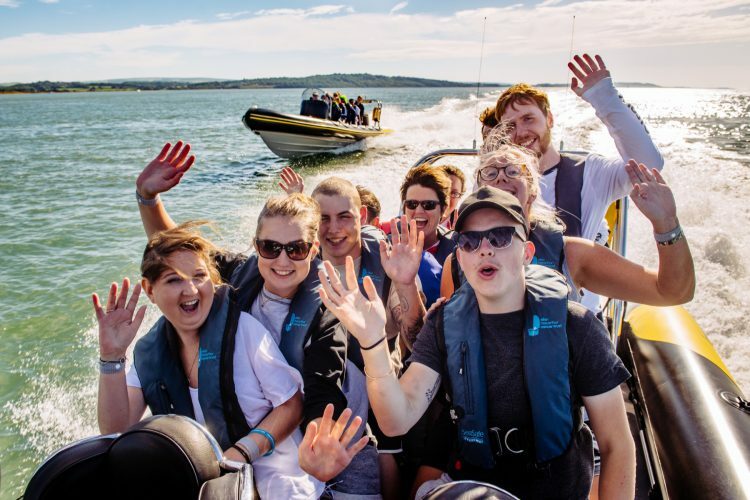 All logistics are taken care of – the young people travel to either Cowes on the Isle of Wight or Largs in Scotland with others from their hospital so before they even arrive they have the chance to get to know each other. After their day one introduction to the week ahead, the next three days are spent on the water, mooring at a different port each night, with organised onshore activities in the evenings, all with the emphasis firmly on having FUN. We sail, we go crabbing, we fish, we eat ice cream, we fly kites, we play games, we make friends, we chat, we laugh and we have epic, epic water fights! The atmosphere is so positive, focusing on what each young person can do, not what they can’t. Self-perceptions are changed and the young people are given permission to be well again. Parents also gain confidence from seeing their child flourish. All the trips are led by professional sailors, who have heaps of experience working with young people. There is a high adult to young person ratio. We always have trained nurses or doctors on the trips too, and on-call back up from a paediatric oncologist who is able to offer advice. The welfare of every young person and the quality of their experience is our biggest priority. This is achieved by creating the unique family atmosphere that makes the Trust what it is, whilst taking sailing as many young people as we possibly can.